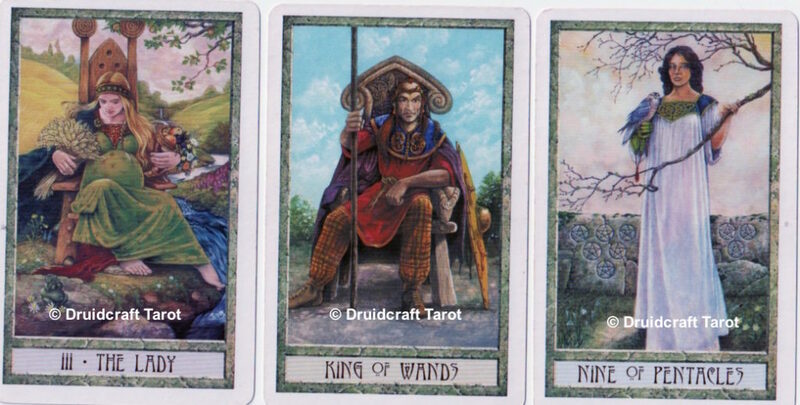 Last week I wrote about the King of Wands and how A E Waite saw this card as the stepping stone from the glory of the Major Arcana to the mundanity of the Minor Arcana. Today I thought I’d expand on this and show you how I am using The King of Wands card as a result of reading Waite’s insight. Let’s see how powerful he really is! 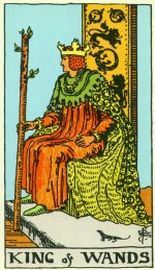 deck’s King of Wands card. Arcana and shuffle each bundle well. is that you are looking for help with). for him at the forefront of your mind. that you turn over – this is the Major that will help you. two cards together help you with your issue? The Lady (Empress equivalent) and the 9 of Pentacles. the losses that come with creation. free, she has to let it go. restrictions in order to keep comfortable. must be endured in order to create something new and better.